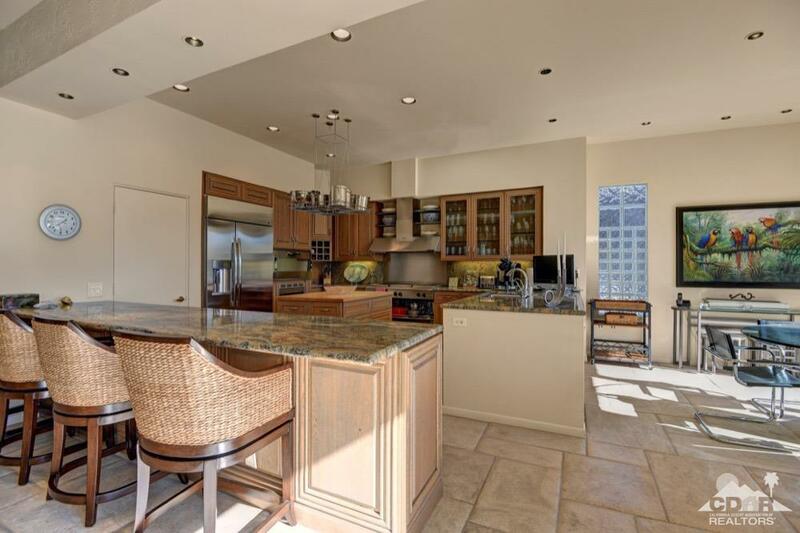 This is a one of a kind, unique luxury home located inside Indian Ridge Country Club. The builder customized this magnificent two-story home with attention to detail through out, including designer furnishings, French limestone floors, custom wine closet & so much more. The wall that divides the kitchen & family room has been removed, creating a open concept floor plan that is unique to this model. Craftsman cabinetry, center island & stainless professional grade appliances complete your dream kitchen including an extra commercial refrigerator/freezer. Endless views of water, golf course, along with the southern mountains will put you in a transe. The spectacular master suite is complete with a fireplace, custom walk in closet as big as a bedroom, large master bath with marble walk in shower & separate jacuzzi tub. 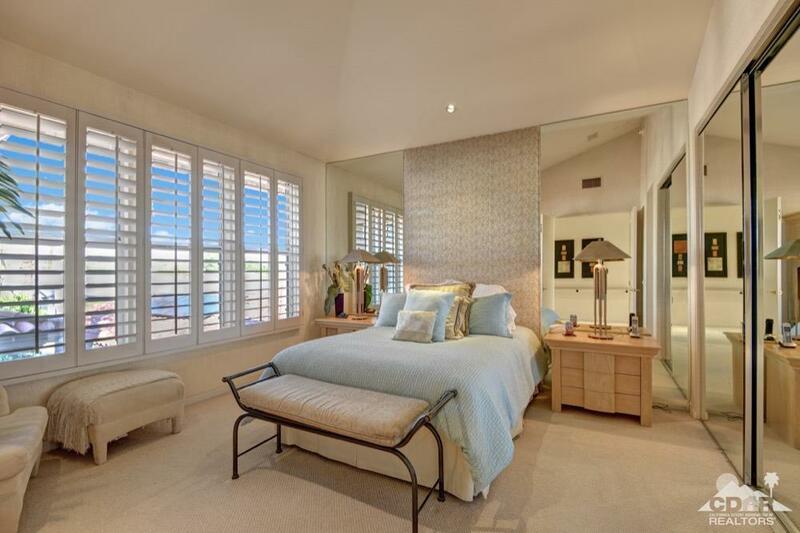 Did we mention the spectacular views from the master bedroom private patio? This is a must see home! Furnished per inventory list. Club or Golf Membership available. The City of Palm Desert is located in the heart of the Coachella Valley, between Rancho Mirage and Indian Wells along both the Highway 111 and Interstate 10 corridors. A center for business and residential growth for the Coachella Valley, Palm Desert offers a burgeoning arts scene, great outdoor recreation facilities, and the best shopping available in the Coachella Valley. 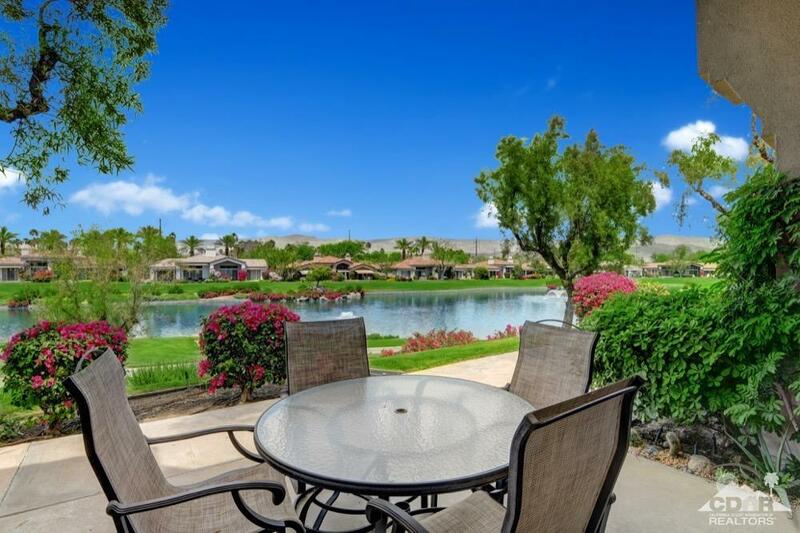 Originally known as Old MacDonald Ranch, then later as Palm Village, Palm Desert was originally a master planned community that was a midpoint in the desert landscape that stretched from Palm Springs to Indio. The first residential development in the area was an Army maintenance camp that was later developed into the now famous El Paseo Shopping District, home to such signature Coachella Valley events as the El Paseo Fashion Week and the Desert Cancer Foundation`s annual Paint El Paseo Pink.